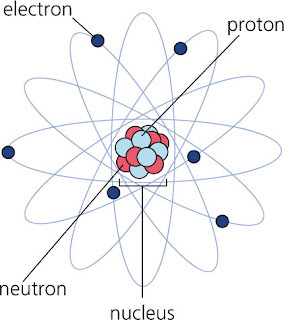 Atom consists of electrons surrounding a nucleus that contains protons and neutrons. Electrons are arranged around the nucleus in energy levels or shells. The mass of an atom is concentrated in nucleus which contained the protons and neutrons. The nucleus is positively charged because of the presence of protons which are positively charged and the neutrons are neutral.